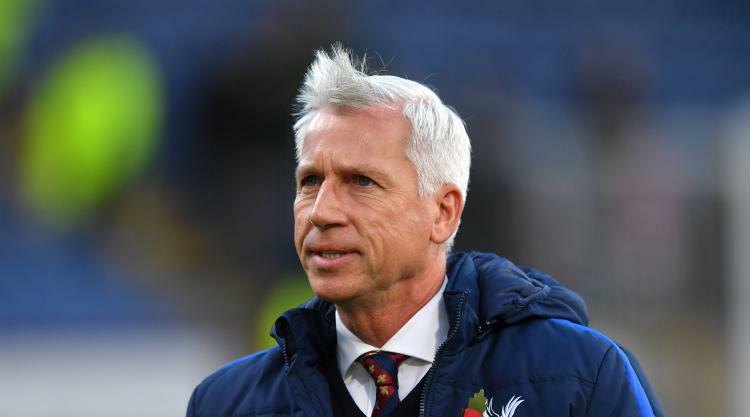 Alan Pardew has confirmed he has held talks with West Brom about the vacant managerial position at the club. The 56-year-old has emerged as a leading candidate to replace Tony Pulis, who was sacked at the beginning of this week, and described the job at The Hawthorns as "attractive." He worked with West Brom technical director Nick Hammond during his spell in charge of Reading and is available, having been out of work since being sacked by Crystal Palace in December 2016. Asked about recent reports that he had spoken with West Brom, Pardew, who was a guest on Sky Sports for their coverage of Huddersfield's home game against Manchester City, said: "I've had discussions with them. "Obviously it is an attractive job so we'll see where it goes. It is a club that has a really good set of players and I think it is a good opportunity for a manager and if it is me then it is me. "They've got good quality in there and maybe they should be doing slightly better than they are. I think looking at them and the depth of the squad it definitely has improvement in there so hopefully that's what they'll do." Pulis was sacked on November 20, just a few weeks ahead of what would have been his third anniversary in the job, following a run of just two wins in 21 Premier League matches. Gary Megson, who himself managed West Brom between 2000 and 2004, was placed in charge until a permanent successor is found and he guided the team to a creditable 1-1 draw with Tottenham at Wembley on Saturday. Press Association Sport understands Megson will remain in charge for the home game against Newcastle on Tuesday night.